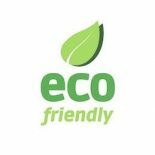 Exterminator Hingham: Beneficial Pests That Have To Go! When you look at the world, you can see how just about every creature has its place (except for yellowjackets). An animal either makes up an important part of the food chain, or they provide some service that benefits everyone (except for yellowjackets). When these creatures are outdoors, there’s really not much need to call for pest control or an exterminator (unless you have yellowjackets). The fact is, most of us love nature. We like getting out onto a hiking trail or taking a trip to the park, and we generally don’t mind the insects we see along the path. In fact, we might even enjoy seeing certain bugs out as they go along their business. It can be fascinating to watch a line of ants head from one place to another and take food back to their nest. Seeing a tiny mouse out in the woods will bring a smile to most people’s faces. Of course, once they get into a house, all bets are off! There aren’t many people who will suffer bugs once they cross the threshold to the home. And when it’s mice and rats, there are health reasons (not to mention protecting the integrity of your home) to call an exterminator. Here are some of the creatures we deal with every day that just aren’t welcome in the average person’s home. There are over 12,000 species of ants on Earth, and they play an important part in the ecosystem. While some can be destructive to other ant species or can damage some plants, most of them are benign. Ants are excellent garbagemen, cleaning up the messes that insects, animals, and humans leave behind. They’ll often remove dead insects and other organic matter, as well as crumbs you leave behind after you have a meal out on your deck. Of course, it’s a different story entirely once they get into your house. If just one ant finds their way in, they can leave a trail for other ants to follow. Before you know it, there are ants in your pantry and crawling over your sink. 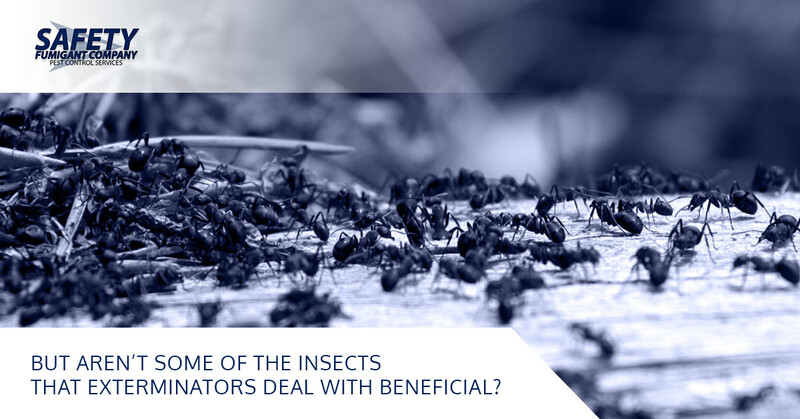 Once you have them, they can be hard to get rid of; contact an ant exterminator as soon as you see signs of them. Termites are one of the most destructive pests in the world, causing billions of dollars in damage each year in the United States alone. Termites have special bacteria in the stomach that allows them to digest the cellulose in wood, and that’s a problem considering that most homes in the US are wood-frame houses. Termites can cause great destruction in a home even before you know there’s a problem, so it’s important to know the early warning signs of having a termite problem. But can termites offer the world anything? Well, they obviously ate something before all this wood was being used to build houses. The most common termite in the US eats dead wood, not living trees, and they simply don’t know the difference between the dead 2 X 4s in your home and a rotting log in the forest. But out in the forest, they do play an important part in breaking down dead plant matter and “composting” it, making new soil and clearing space for new vegetation to thrive. Of all the creatures we deal, our role as spider exterminators can make us think twice. Yes, we understand why people don’t tend to like spiders; their movements are completely foreign to us, and most of them certainly aren’t cute (though jumping spiders come close…) But there are very few poisonous spiders in the entire United States, and your chances of running into a black widow or brown recluse are pretty slim. In fact, most spider fangs aren’t even strong enough to pierce human skin. Spiders can be beneficial because they are often eating other more destructive or disgusting bugs. In fact, they’re probably eating other spiders, so that one that you see probably prevented you from seeing ten more. Still, we understand. While seeing a spider now and again isn’t a big deal, there are times when a spider infestation can get out of hand. If you’re seeing too many, we’ll be your spider exterminators. No, we’re not talking about your brother-in-law who has overstayed his welcome. We’re talking about the creatures you’d be perfectly happy seeing outside but have no interest being in your house. While they might be an important part of nature, we won’t blame you if you don’t consider your house part of nature. You’ve got electricity, you’ve got plumbing, and the most nature you want inside are some nice houseplants. Creepy crawlers should stay outside. If you’re ready to say goodbye to annoying or destructive insects, we’d love to help. 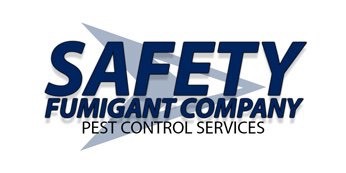 Call your local exterminators and we’ll handle your pest control in the safest way possible. Contact us today to let us know what you need!